“Least this song is a smash,” sings Ariana Grande at the end of the third verse in “thank u, next,” and what do you know, she was right. The song debuts at No. 1 on the latest Billboard Hot 100, notching Grande her first ever No. 1 on the pop chart (her previous peak was No. 2 with 2014's “Problem”). Billboard reports that during its first eligible week, the song streamed some 55.5 million times in the U.S., sold 81,000 downloads, and had a radio audience of 11.3 million. The song was bound to grab attention as it was her first direct public statement on her breakup with Pete Davidson but it’s so ingeniously crafted (those hooks! that melodic serenity! that knocking bass! her grace!) so as to keep people wanting to hear it. It functions as much as tool to control Grande’s narrative as a pop song, and it is as specific (naming some but not all of Grande’s exes) as it is universal (almost everyone has broken up and summoned the will to move on). All of that is to say that with what I’d argue is the finest sounding song she’s ever recorded, Grande has pulled off no small feat. 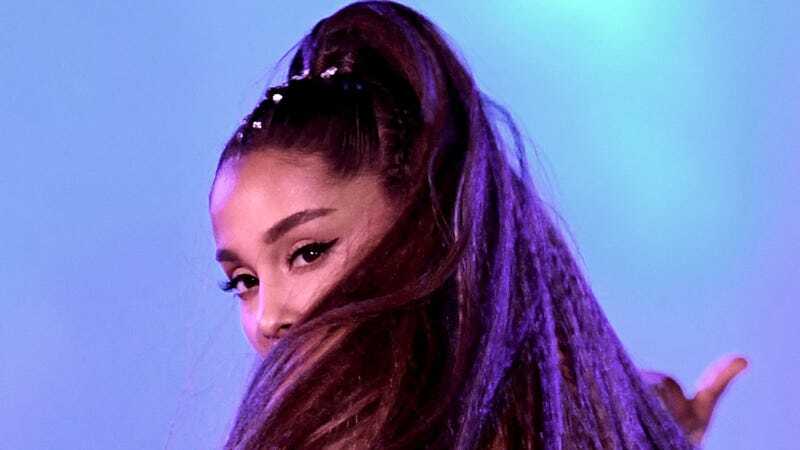 Billboard also points out that “thank u, next” is the fourth song this year to debut at No. 1 (Childish Gambino’s “This Is America,” and Drake’s “Nice for What” and “God’s Plan” preceded its rise to the summit in 2018). It’s the first year since 1995 that four songs debuted at the top of the chart—they were: Michael Jackson’s “You Are Not Alone,” Mariah Carey’s “Fantasy,” Whitney Houston’s “Exhale (Shoop Shoop)“ and Carey and Boyz II Men’s “One Sweet Day.” Pretty good year!